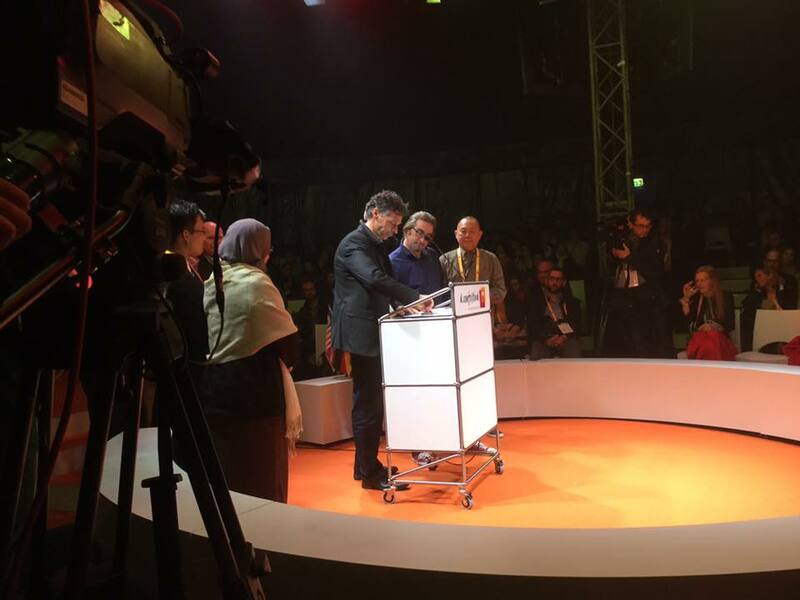 Yesterday at the d.confestival in Potsdam, Germany, the Global Design Thinking Association was formally established with founding members - including our own d-school (South Africa), as well as the HPI D-School (Germany) Genovasi (Malaysia), schools from Canada and China. and institutions, the London School of Economics and Open Lab (UK) - signing a letter of intent. The aim of the alliance is for schools of design thinking around the world to collaborate and share knowledge. At a very practical level one this will inclusing sharing coaching and programme resources. Another key intent would be to create a global standard for design thinking while at the same time supporting the uniqueness of each and its locally relevant approaches. Pictured at the signing is the d-school's director, Richard Perez.